Believe it or not but motion sickness affects over 70% of people. 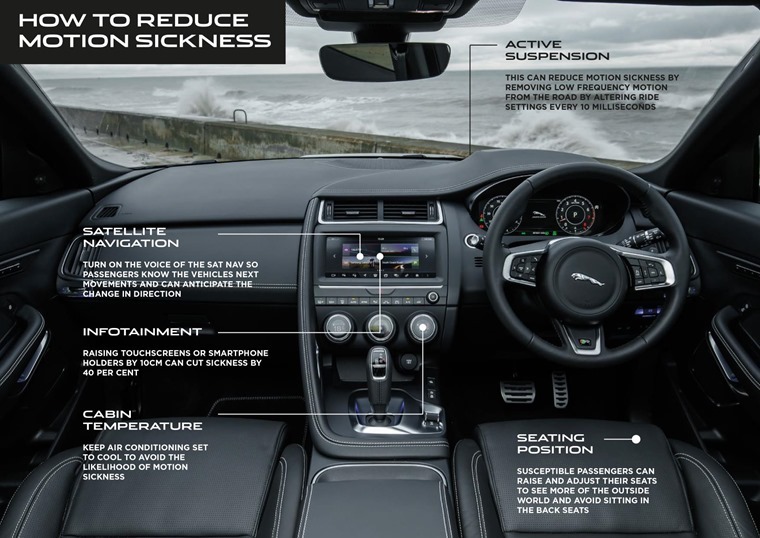 While we’ve done everything we can to help you avoid hearing the dreaded words “I’m going to be sick” in the past, Jaguar Land Rover has gone one better than producing a top tips article and actually identified techniques to reduce travel sickness by at least 60%. 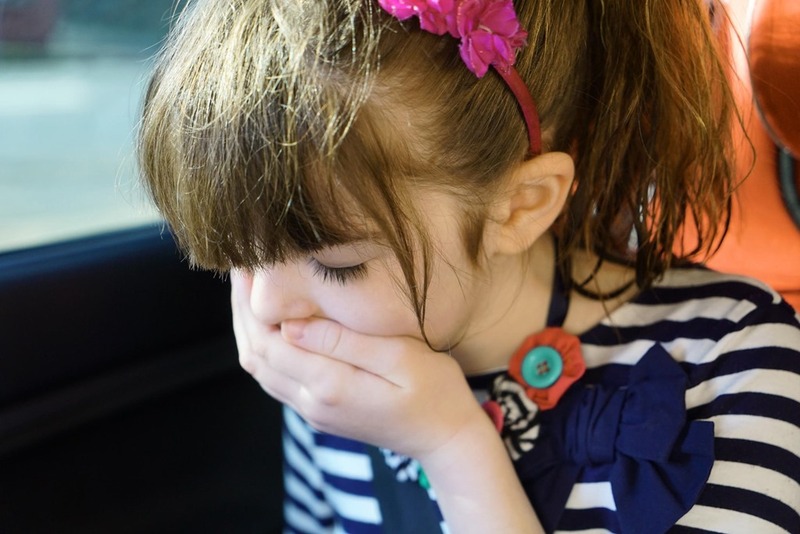 Motion sickness is often caused when the eyes observe information that is different from what is sensed by the inner ear, skin or body forces – commonly when reading. 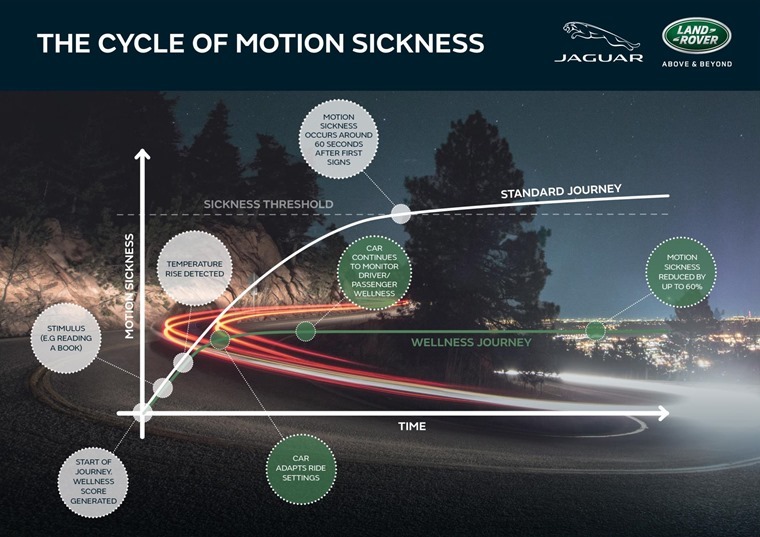 With this in mind, Jaguar Land Rover has collected 15,000 miles of motion sickness data and tested the effects caused by performing a task while in transit, such as checking emails. An algorithm then generates a ‘wellness score’ which calculates how susceptible individual drivers and passengers are to feeling car sick, using biometric sensors. Combining this with motion and dynamics data, the vehicle will reliably know when a passenger or driver is becoming motion sick even before they do. As the first phase of research ends this month, JLR vehicles are already leading the way at combatting feelings of nausea, with the E-Pace having 26 different seat configurations for passengers to find a position that raises the infotainment screen relative to eye level as well as turn on the cooling seat function. Both factors have been proven to significantly reduce the likelihood of motion sickness.